Our residential buildings can be used for a multitude of purposes and offer a unique solution to many different problems faced by homeowners. Managing your storage needs is a major part of our business but lately shell homes, nicknamed Barndominiums, have become a top seller. 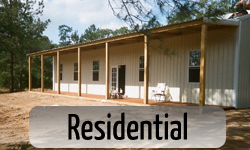 Our post frame design is environmentally friendly and very energy efficient so you can enjoy the long term savings of a green building.From deer camp lodges, RV covers, homes, and garages Five Starr Metal builders can meet your residential needs. Finding proper storage room can be a challenge. Some people have resorted to renting storage units after the garage gets filled but this is a mistake. You can have more storage room that is conveniently located near your house all while eliminating storage fees and adding equity to your home or property. 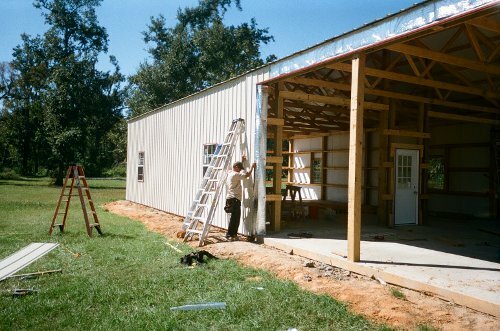 You can build a place to work on your car or make it a man cave with room to store your boat or four-wheelers. 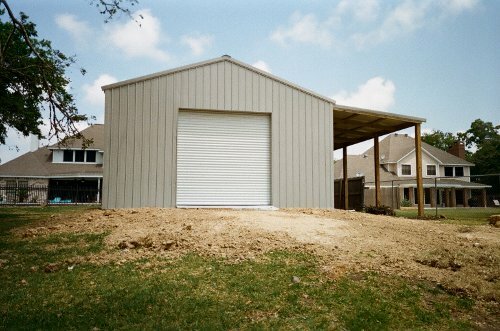 Get a building with an extended roof line for barbequing when you entertain guest or utilize it as a carport. The possibilities are endless and the satisfaction will last a lifetime. Buying or building a new home can be an expensive and time consuming process. 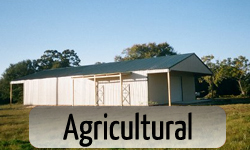 Investing in a Barndominium for your next home can reduce cost and headaches. 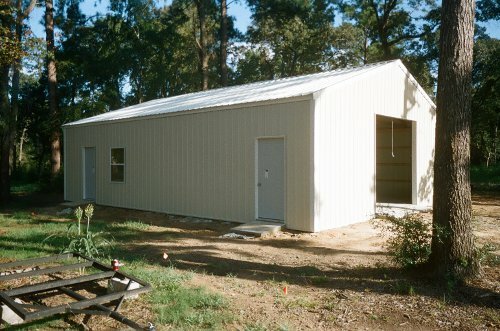 We have a variety of colors to choose from and with metal roofs and siding coupled with our green building design you can drastically lower energy bills and maintenance cost in the long run. 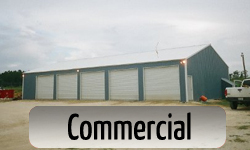 Our buildings incorporate a six inch external wall so you can have superior insulating capabilities and since its post frame design there is no need for perimeter stud walls or load bearing internal walls saving you tons of material and labor.Let Five Starr build you the shell so you can have a dried-in project that you can complete at your own pace and budget. 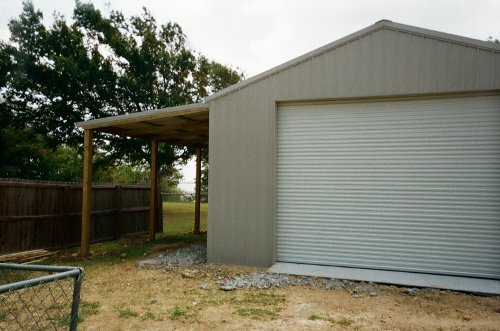 The simple post frame design can be adapted to fill many needs and Five Starr Metal Builders has the expertise to make your next project a success. Give our sales man a call today to get started on making your dreams a reality.